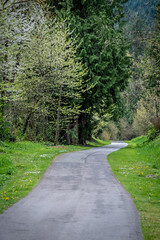 Just south of Renton near Lake Youngs is King County’s Petrovitsky Park, an 88-acre park with baseball and soccer fields, a playground, and picnic areas. Already known as a great park for baseball, Petro will no doubt soon gain attention for its brand-spanking-new synthetic turf fields. 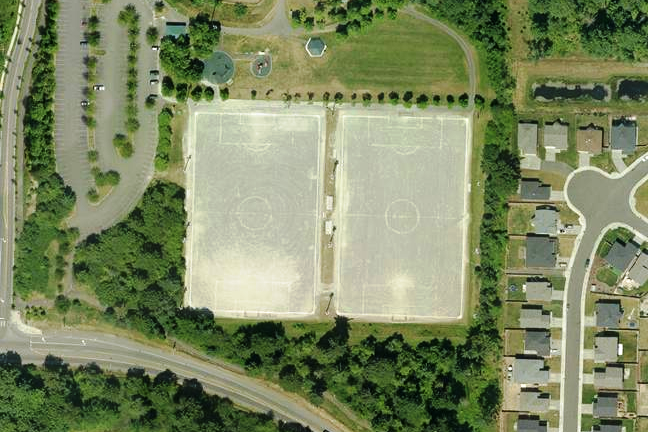 Back in 2008, the Kent Youth Soccer Association (KYSA) began a partnership with King County Parks to renovate Petro’s existing dirt soccer fields, which have been underutilized because they are often too wet and mucky to be playable. With more and more kids joining KYSA these days, there’s an ever-growing need for local fields for games and practices, so having so many rainouts on the soggy Petro fields was just not acceptable. Through our Community Partnerships and Grants (CPG) program, King County Parks provided KYSA with seed funding to kick-start a major field renovation campaign. Converting the dirt fields to synthetic turf makes sense because it holds up better in our region’s wet weather conditions and generally costs less to maintain over a field’s lifetime. In addition to King County Parks’ $250,000 contribution and KYSA’s own fundraising efforts, plus donations and sweat equity, the group raised an additional $900,000 from the Washington Department of Community, Trade and Economic Development, and $300,000 from Washington State Youth Association. When completed, the $2.1 million project will add two full-sized synthetic turf soccer fields to King County Parks’ inventory of recently upgraded or added athletic fields, such as those at Marymoor and Preston. Construction began in October, and we expect the project to be done by the end of January – weather permitting, of course! The soccer fields at Petrovitsky are still surrounded by temporary fencing. When will they be availabe for use? The article stated that the reconversion project would be completed by January 2012. @Brett: There were some delays due to the soggy spring, but it looks like the fields will be ready to go in the 2nd week of May. If you’re interested in scheduling them, please contact the King County Parks Regional Scheduling Office at 206-205-5275. Hope you enjoy the new fields! write a research paper on maintaining turf by tomorrow morning yuck!